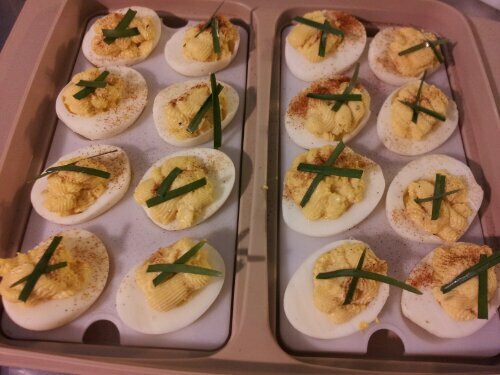 The classic version of deviled eggs- a little mayonnaise, two types of mustard, and course, paprika! Note: I actually don’t boil my eggs, but steam them. Using a regular vegetable steamer, I steam them for 12 minutes and then rinse them in cold water. I usually have them at room temperature, and they always come out fine. 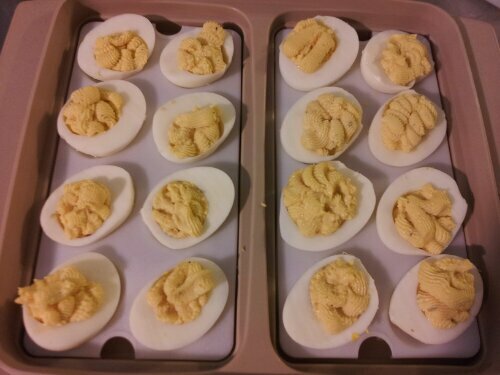 After peeling the eggs, cut them in half and remove the egg yolks. 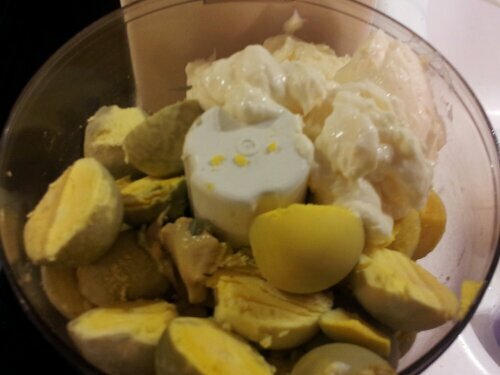 Place the egg yolks in a small processor and add the remaining ingredients. Process till smooth. 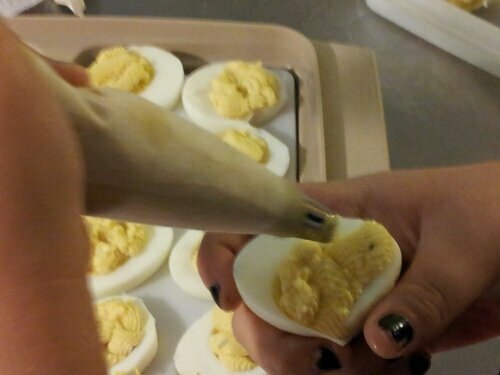 Pipe into egg white halves, and garnish as desired. We used classic paprika and some garlic chives from the garden.